Hey, everyone! Last time, we busted open (er, I guess that is what to call that) some 1978 oddball discs. This time, I have a pack of 1979 Burger King Yankees. 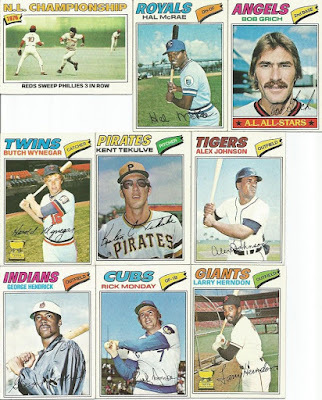 And, since we can't sit by and let BoRosny hog an entire pack, I also have a "pack" of 1977 Topps. I'll explain the quotes in a minute. Congratulations, Bo! I actually have a few more of these packs, so you'll be getting more. If you are curious, there are 22 cards in the set plus the checklist. I didn't think it was fair to give out "multiplier" bonuses here (x2, x3, etc) because we knew going in that the pack was only Yankees. There is nothing on the cards themselves that indicates these are oddball except for the number in the upper corner. Bummer. 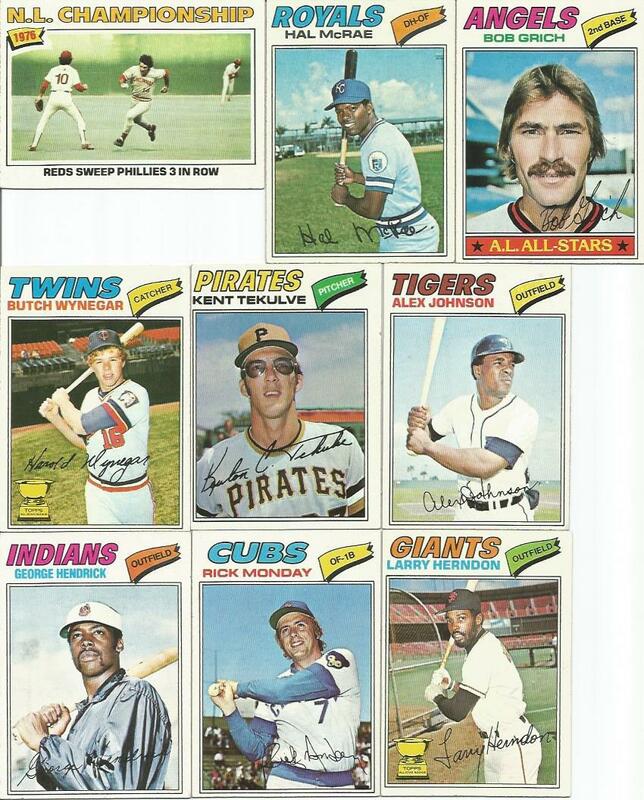 Okay, next up, we have a "pack" of 1977 Topps. Why the quotes? Because this does have a wrapper, but the wrapper was already long-opened and the cards inside are most likely NOT the cards originally in the pack. 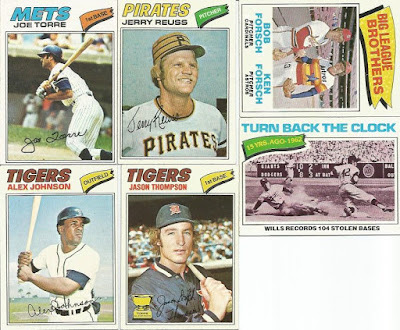 In the name of openness and honesty here, I knew going in it was a '77 repack when I bought it. Wow! Congrats to Ryan G, who not only pulled three Tigers, but two of them were the same card. 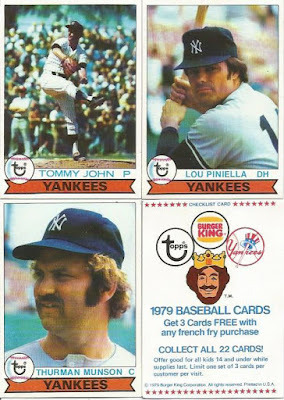 I am 99.99% sure I have the Hendrick card, so I will most likely pass that along to Enamel Rods. RAZ won the coin toss, so he collects the Forsch brothers card! Congrats to everyone pulling a card from this one! I'm no Pirates fan, but who doesn't love Kent Tekulve?